There’s no question that whales are some of the most iconic animals in the sea. From the massive blue whale to the quirky narwhal, these charismatic mammals have captivated people for centuries. For World Whale Day, we’re taking a moment to celebrate the ocean’s most recognizable residents with five little-known facts about whales. 1. It’s all in the family. 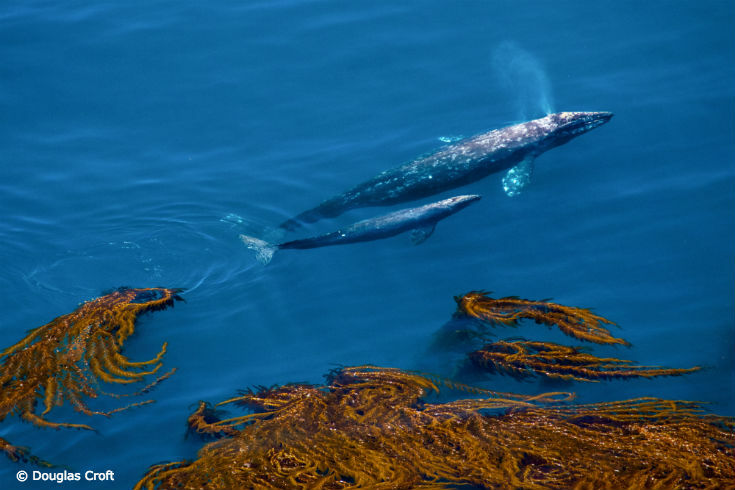 Whales are in the order cetacea, which includes whales, dolphins and porpoises. They are all mammals, meaning they breathe air, produce milk for their young and grow hair. They’re also highly specialized for marine environments, and have streamlined bodies with nimble dorsal fins and tails, and compressed neck vertebrae. There are nearly 80 species of cetacea, nearly all of them marine, except for some species of river dolphin. 2. You’re krill’n me. There are two suborders, or types, of whales. Baleen whales (called mysticeti) filter their food through huge baleen plates made of flexible keratin (the same material that makes up your hair and fingernails). They move slowly through the ocean with their mouths open to filter shrimp, krill and other small animals through the baleen to eat. Baleen whales include humpback whales, blue whales, North Atlantic right whales and bowhead whales. The other type is called odonotoceti whales, or toothed whales. Unsurprisingly, toothed whales have teeth that they use to sense, capture and/or eat prey. Whales in this category include narwhals, belugas and sperm whales. 3. Go big or go home. Whales have a big record to their name: The blue whale is the largest animal that ever lived (yes, including dinosaurs). They can grow up to 100 feet long and weigh up to 200 tons. Their heart alone is the size of a small car! Despite their size, they keep their eyes low on the food chain: they eat krill, or small crustaceans that grow to about three inches in size. A blue whale can eat up to four tons of krill in a day. 4. Cold never bothered whales anyway. You can find a few whale species in the chilly waters of the Arctic. To survive, they have specific adaptations that help them eat, mate and live in frigid conditions. Bowhead whales, for example, have massive skulls that can be over 16.5 feet long—or about 30-40 percent of their entire body length—that they use to break through the ice. Beluga whales have a five-inch-thick layer of blubber and dorsal ridge that help them navigate through the harsh icy waters, too. 5. Olympic-level divers. Whales are among the world’s deepest divers. 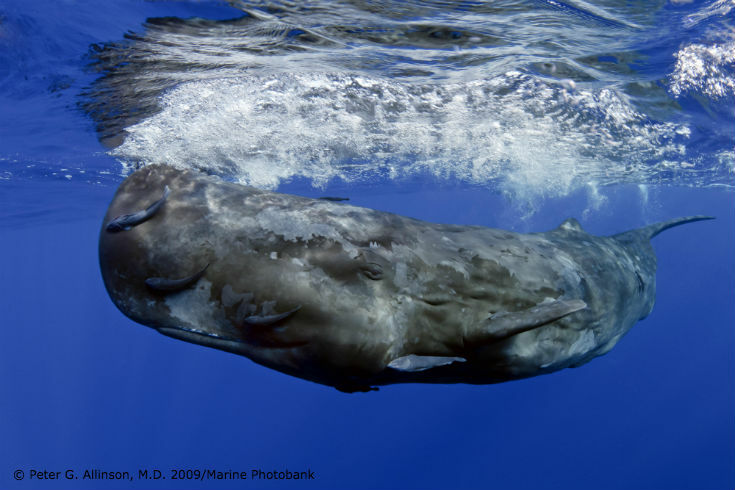 When hunting squid, a sperm whale may spend as much as an hour on a dive to more than 3,000 feet, where the temperature hovers at 36 degrees F and the pressure is more than 1,400 pounds per square inch. Impressive, but not if you happen to be a Cuvier’s beaked whale—scientists recently observed one diving to about 10,000 feet (nearly two miles) and staying under for 138 minutes, a record for both length and depth.